Small cross-over vehicles are becoming more and more common. What makes them a good choice, anyway? Small cross-over vehicles have a few very big advantages over the small car equivalent. 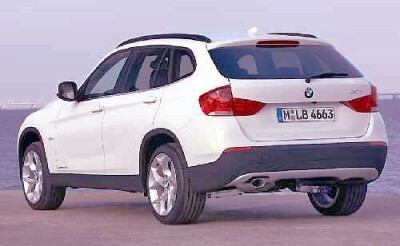 Let’s use the BMW X1xDrive20d as our example. And first of all, let’s look at the size. BMW introduced the 1-series car to the world in Autumn 2004. The 1-series Beemer shares many structural, chassis, power-train, hardware and electronic elements with its larger sibling, the 3 Series. BMW is renowned for being a driving enthusiast’s delight, and with the 1-series BMW hoped to make their driving experience a little more affordable and available to the masses. BMW offers a BMW 120d and a BMW X1 xDrive20d. Taking a closer look at the overall dimensions of the car, it is evident that the BMW X1xDrive20d ends up markedly larger. The X1 variant is 215 mm longer, 40mm wider, 124 mm higher and has wheelbase that is 100 mm longer. The front track is 20 mm wider and the rear track is 36 mm wider. So what am I getting at? You can see by the measurements that the X1 is larger in all of the exterior dimensions considered. Where all this extra space counts is in the cabin and luggage space. Some would consider the smaller 1-series car a tight squeeze. And, sure you would be right. A great car for a couple with two small kids, but perhaps it is a tad small to be really practical for larger families. What you gain in the BMW X1xDrive20d model – which is built on the 3-series Touring platform – is greater all-round practicality, making the X1 the choice for the buyer wanting a little more room in the rear for passengers and greater luggage capacity in the boot. have not affected the car’s ability to slip through the air. Both the BMW 120d and the BMW X1xDrive20d have the same drag co-efficient of only 0.33. Evidently, the new BMW motor vehicles are incredibly well built. The rigidity in the body structure and high grade materials give the new BMW owner the satisfaction that they are driving a leader in car design and engineering. Recent crash tests held in Europe gave the BMW X1xDrive20d top honours, and hence a five star award was given. Front seatbelt pretensioners, front seatbelt load limiters, a driver’s front airbag, a front passenger front airbag, side body airbags and side head airbags are all standard items. Premium active safety features such as ESP, TC and ABS are standard items as well. Weighing in at over 1500 kg, the BMW X1xDrive20d has a similar mass to the big Volvo S80. Sitting serenely on the road at well over 140 km/h, the BMW X1xDrive20d has a composure and presence on the road that few small sedans can match. Sitting higher above the ground than small sedan drivers, the very clear view of the road ahead that the BMW X1xDrive20d driver has is a huge safety advantage in itself. The higher ground clearance of small cross-over vehicles, like the BMW X1xDrive20d, also makes for travelling off the beaten track a little less scary. In Australia, there are many gravel roads worth exploring, so having a vehicle that can take you there with ease is vitally important. It’s no use scraping the bottom of your flash Corolla, or bashing the front air dam of the new BMW 1-series car, if what you need is a vehicle to take you to your favourite holiday spot away from all the noise and man-made jungles. Powered by a very smooth 2.0 litre diesel engine that boasts plenty of grunt for passing, the BMW X1 xDrive 20d has what it takes to perform remarkably well on the open road. Never short of puff, the 2.0d’s smooth acceleration is refined and likeably athletic. A little over eight seconds can see the 0-100 km/h sprint dispatched, and on the right sort of road the BMW X1xDrive20d will run up to well over 200km/h. A six-speed automatic or manual gearbox is offered to provide power down on the road. Well equipped with a nice stereo, electric windows and a superb air conditioning unit, the BMW X1xDrive20d should have everything you need to make your journey very comfortable, safe and supremely relaxed. For any more information on the BMW X1xDrive20d, or for that matter any other new car, contact one of our friendly consultants on 1300 303 181. If you’d like some fleet discount pricing (yes even for private buyers! ), we can submit vehicle quote requests out to our national network of BMW dealers and come back with pricing within 24 hours. Private Fleet – car buying made easy!